APRC: Can Young go one better in Japan? 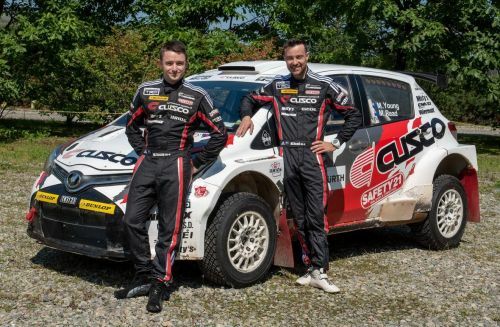 New Zealand rally driver Mike Young Motorsport is reveling in the opportunity to test and develop Cusco's new 4WD TRD Toyota Vitz (Yaris) and this weekend is the team's home event in Japan, Rally Hokkaido. This will be Young's 8th start in Hokkaido and an event where he’s finished on the podium twice driving a production class Subaru Impreza, but never won outright. “This year I really want to show the potential of the Cusco TRD Vitz, we are at the stage now where I think we can get a good result and performance. I'm not saying I’ll go flat out but I definitely want to do well for myself, my team Cusco Racing and TRD. It’s their home event and an important Rally for them”. This time Young has the package to win, the question mark will be the Toyota’s reliability, but on the previous APRC event in Malaysia the toughest and hottest of them all, he finally drove the Vitz over the finish-ramp into second place. Can Young go one better in Japan? The team has given the Toyota a major refresh over the past two weeks and two days of testing were largely trouble free, allowing Young and co-driver Malcolm Read time to fine-tune the Vitz's handling and suspension. Rally Hokkaido is the 4th round of the FIA Asia Pacific Rally Championship and based in the city of Obihiro. Run over three days the event comprises 222 kilometres of mostly forestry stages, with a temporary service-park on Saturday in the town of Rikubetsu, famous for recording the lowest ever temperature in Japan of -45 degrees C.
Hokkaido accounts for a little more than 20% of Japan's total land area and has a population of roughly 5.4 million. Japan’s most northern island is a popular tourist destination, famed for its skiing resorts, hot springs, gourmet food and natural parks. Where is Ross Chastain going to go in the Xfinity Series?